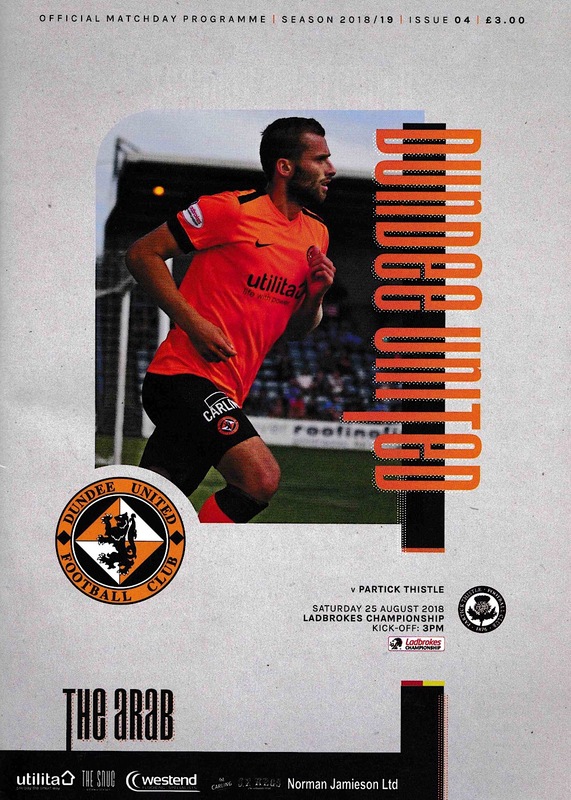 Csaba Laszlo made two changes from the previous league game against Queen of the South, with Stewart Murdoch and Craig Curran replacing the injured Sam Stanton and Nicky Clark. 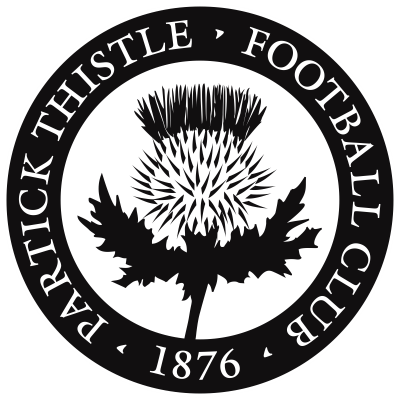 Partick Thistle had three former United players in their starting eleven in the shape of Cammy Bell, Blair Spittal and Craig Slater. In addition, they had Chris Erskine on the bench. Of course, their manager Alan Archibald was also a former United player. 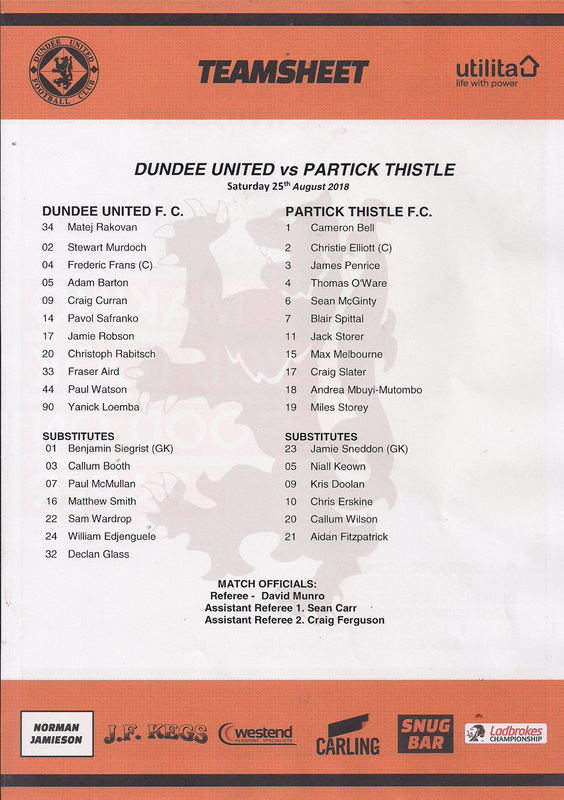 United themselves had three former Partick Thistle players in their squad with Frederick Frans and Adam Barton starting for the Terrors and Callum Booth on the bench. There were two early blows for the away side in the first five minutes as they were forced into a substitution, followed by losing an early goal. Thomas O’Ware went down injured in the Thistle penalty area, and after a lengthy break for treatment he was replaced by Niall Keown. Almost immediately, as Pavel Safranko forced Thistle to concede a free kick out wide, United went 1-0 up. The free kick from Fraser Aird was sent into the box from the right hand side and Paul Watson planted a diving header beyond the diving Cammy Bell to give United the lead. It was the former Falkirk defender’s first goal for United. Thistle were reeling after those early setbacks and after ten minutes United nearly doubled their lead through some good work from Yannick Loemba on the right hand side. Pavel Safranko was inches away from knocking Loemba’s cross into the net and the ball was half cleared to Christophe Rabitsch, and his shot from the edge of the area was well saved by Cammy Bell. United continued to have the best of the early exchanges, with Fraser Aird causing the bulk of the problems for Thistle with his play on the United right. His pace was causing problems, and a dangerous cross on the 13th minute was scrambled clear by the home defence after he had raced onto a ball forward from Stewart Murdoch. Aird had another set piece opportunity on the 17th minute, and although the cross looked dangerous this time the ball was cleared by Craig Slater before any United player could capitalise. It was not until midway through the first half that Partick Thistle were able to create a chance of their own. Miles Storey had a shot from the edge of the area after being rather fortuitously played in by a back header from Blair Spittal, but Matej Rakovan in the United goal was able to easily save his effort. A minute later, another Fraser Aird corner was met by the head of Pavel Safranko, but the Slovakian striker could only head the ball wide of the near post. An error by Jack Storer on the half hour mark created another opportunity for the home side, but the final ball from Safranko to Craig Curran was underhit and the pass was cut out. With eight minutes to go until half time, United wasted another good chance to double their lead when former Thistle player Adam Barton found himself unmarked in the penalty box. He was able to hit a shot on the turn however the shot was straight at Cammy Bell and he saved comfortably. Although Blair Spittal saw a shot blocked by Paul Watson as the half drew to an end, United comfortably saw the first half out with a 1-0 lead, perhaps regretting that the lead was not even bigger. The first action of the second half came in its first minute with a rasping drive from 20 yards from Jack Storer which flew just past the post. Stewart Murdoch had to look lively a minute later to prevent the same player from breaking clear into the box with a fine sliding tackle. The play was repeatedly broken up early in the half with several players requiring treatment, and as such the game lacked any real flow. Ten minutes into the half, Adam Barton had another chance after winning the ball in midfield. He drove towards the box and shot just wide from outside the area. For all that United had looked the more likely to score the next goal, as the game drew on Partick Thistle came more into the game, and perhaps as a result of that the atmosphere drew increasingly nervy. On the hour mark James Penrice has a shot deflected just past the post, and two minutes later there was a huge scare when an unmarked Blair Spittal headed a Miles Storey cross just past the post. Arguably, the former United player should have buried the chance. An equally good chance was wasted at the other end with 20 minutes to go when some good play from Pavel Safranko and Craig Curran saw Yannick Loemba played through on goal. However, he took far too much time to shoot and when he did get an effort away the shot was weak and was easily saved by Cammy Bell. The Partick Thistle goalkeeper inadvertently gave his former club a boost a couple of minutes later by slicing a clearance out of play for a United corner, but Fraser Aird’s cross was headed clear by Andrea Mbuyi-Mutombo. With 15 minutes to go, Yannick Loemba manged to volley the ball over the Eddie Thompson stand while attempting a shot from 20 yards out, perhaps being the first player to even achieve that feat. United’s defence was holding firm, but for as long as they had a one goal lead the result was precarious. The atmosphere lifted on the 78th minute when United finally got their second goal, and again it came from a set piece. Yannick Loemba fired in a corner kick from the right hand side and Paul Watson powered a header past Cammy Bell for his and United’s second goal of the day. With six minutes left, Craig Curran spurned a great chance to grab a third goal after Yannick Loemba’s cross found him in space in the penalty area, but the striker failed to get a touch on the ball. However, United were able to clinch the game four minutes from time with a brilliantly worked third goal. 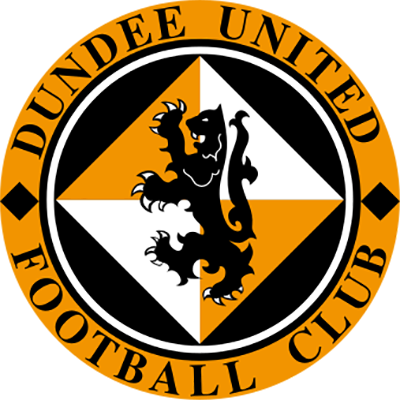 Fraser Aird, who had caused the Thistle defence problems all afternoon, broke down the left hand side and crossed the ball to the back post for a tap-in for Craig Curran, who like Paul Watson scored his first goal for Dundee United. There was still time for Partick Thistle to grab a late consolation goal after Matej Rakovan allowed a cross from the right to slip though his hands and Chris Erskine pounced to knock the ball into the net, but it was merely a consolation and United held on for a fairly routine 3-1 victory over their surprisingly lacklustre opponents.